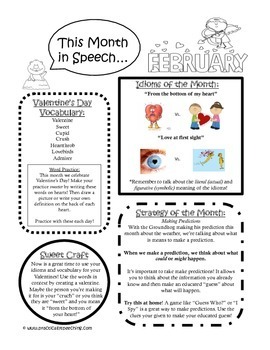 February Speech Newsletter is up! FREEBIE! The February newsletter is UP! Make sure you download this FREE newsletter that contains vocabulary, idioms, and activities! Click HERE to download this great newsletter from TpT!